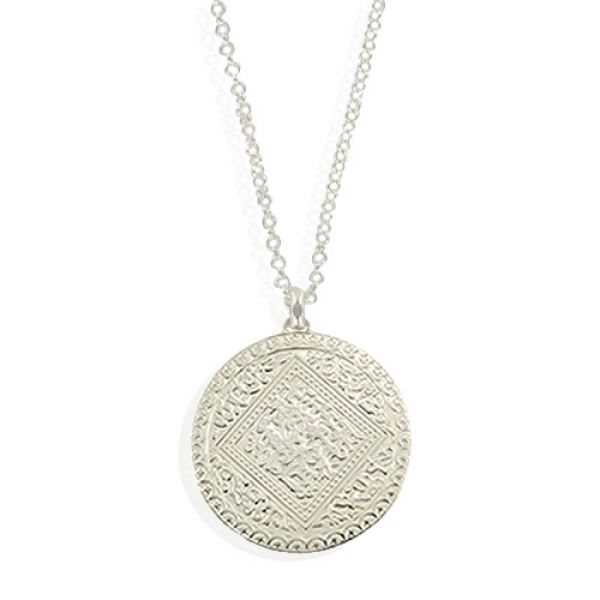 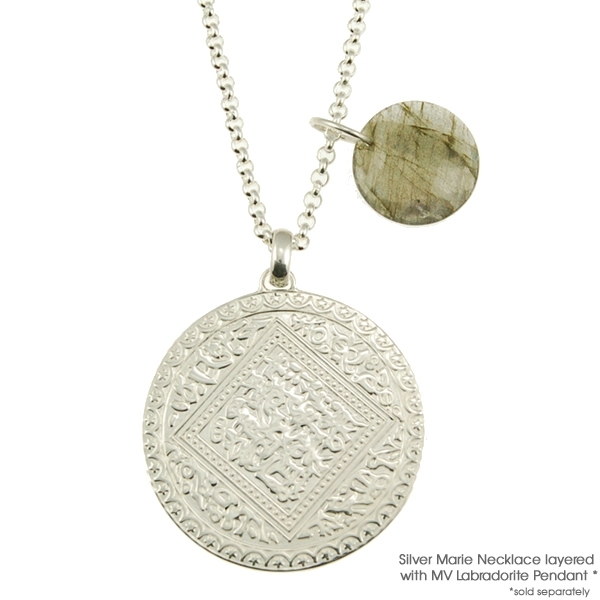 Only one piece remains of this striking Sterling Silver Marie necklace featuring a beautiful disc with intricate patterns on an 18'' sterling silver chain. It's been a hit with many celebrities, the pendant measures approximately 34mm in diameter. 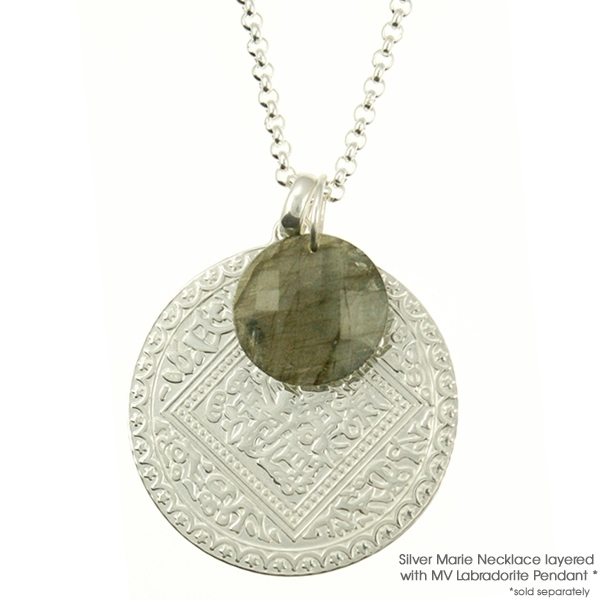 Wear alone or create this seasons look by layering up with the Labradorite Leo pendant to create a truly striking statement look.